Builders can ease homeowner concerns by specifying materials designed to control moisture. Mold is an ongoing threat to a home’s indoor air quality and a family’s respiratory health. Mold needs four things to grow: oxygen, moisture, food (often the cellulose found in wood and paper) and a temperature between 41° F and 104° F. Whenever water is trapped behind walls or paneling, the potential for mold growth is strong. Exterior walls – assemble a strong defense from the outside in: It’s easiest to field a strong defense against mold-causing moisture infiltration when it comes to the exterior of a home. For instance, behind the siding, a complete water resistive barrier (WRB) system should be employed. These include the house wrap and all accessories such as tapes and seals intended to create closure. Together, they provide a water- and wind-tight, well-ventilated, building envelope on a home’s exterior. Roof – as the home’s first line of defense against most rainfall, it’s a good place for a “belt and suspenders” approach: There are particular roofing systems available that are specifically designed to provide optimum protection from the elements. Shingles are manufactured with special adhesive strips that prevent shingle lift and the infiltration of wind-driven rain. In critical areas of higher wind speeds, such as at the exposed edge of a dormer, additional sealant can be applied to ensure long term durability. Beneath the shingles should be a high-quality underlayment such as Diamond Deck, which provides additional protection against leaks or excessive water flow in the roof’s most vulnerable areas. System ventilation products will also circulate fresh air through the attic space to prevent moisture from becoming trapped beneath the roof and they help the roof to “breathe” from the underside. 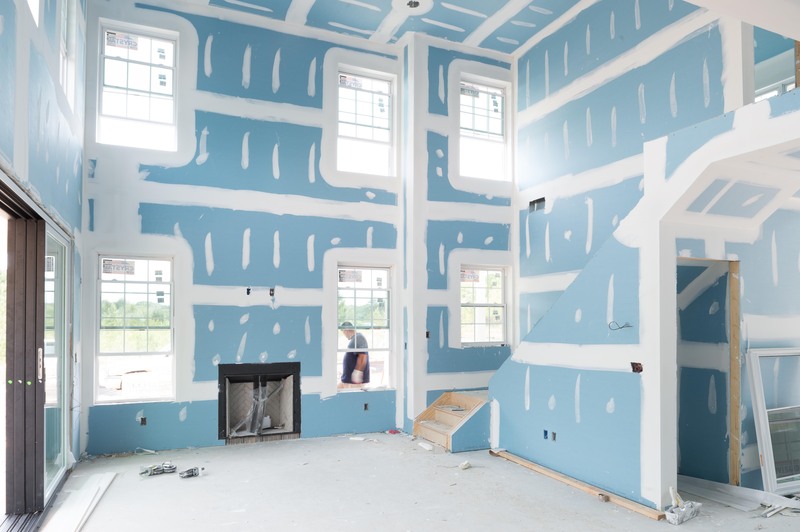 Interior walls – reduce existing interior air pollutants with innovative drywall and insulation solutions: Installing AirRenew M2Tech Indoor Air Quality drywall can give homeowners peace of mind. In addition to providing enhanced moisture and mold resistance, it also absorbs formaldehyde, one of the most common airborne volatile organic compounds (VOCs), often introduced through the off gassing of new furniture, paint, carpeting and fresheners; and converts it into a safe, inert compound that is trapped inside the board. Insulation that features an integrated smart vapor retarder, such as SMARTBATT, blocks indoor moisture from entering when humidity in the wall cavity is low and breathes when it senses high humidity that needs to be released—reducing the potential for mold and mildew growth. By specifying materials designed to control moisture, a builder can greatly improve the confidence of the homeowner. But there may be instances where moisture and mold occur after the homeowner takes residence. Sharing a few references to learn more about controlling mold and moisture in the home can go a long way toward helping your homeowner take control, such as FEMA’s reference guide Removing Mold from Your Home, Mold vs. Mildew and 6 Places Mold Loves to Hide. Looking for a contractor, remodeler or installer in the US or Canada who can professionally install CertainTeed building products on your residential or commercial project? We can help. For more information about mold prevention, visit www.epa.gov/mold and to learn about CertainTeed building products, such as AirRenew drywall, please visit www.certainteed.com/WallsMatter.